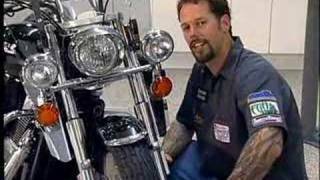 National Cycle Spotlight Bars not only look great on your cruiser, they are also a considerable safety feature. Their 35-watt halogen bulbs light up the night on those long, dark roads and, at the same time, make you more visible to oncoming traffic. 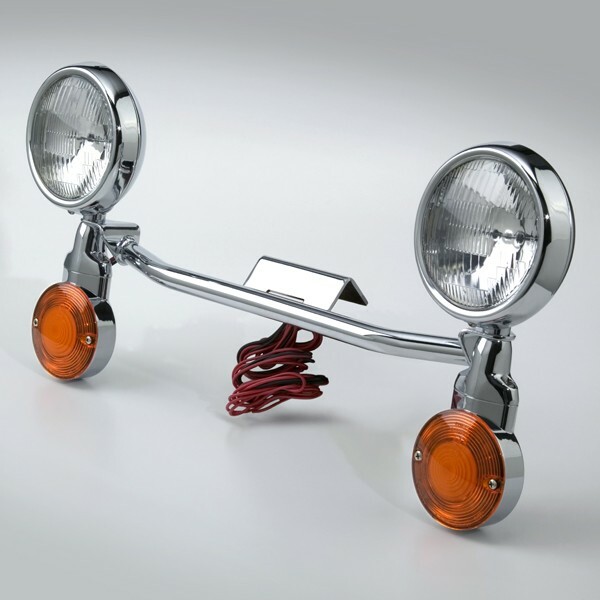 Our Spotlight Bars are wired for activation with your headlight high beam switch, but with our N9001 Spotlight Bar Switch (sold separately), they can be turned off when supplemental lighting is not needed. National Cycle manufactures a complete line of Spotlight Bars and guarantees the fit of the light bar with our windshields. 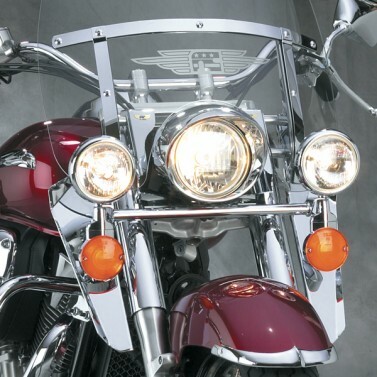 We engineer complementary clearances to ensure the Spotlight Bars will fit with our SwitchBlade®, Heavy Duty™ and Dakota 4.5™ windshields, and with our Chrome Lowers. National Cycle’s Spotlight Bars are fully assembled and wired for easy installation. National Cycle Spotlight Bar Review by Mike C.